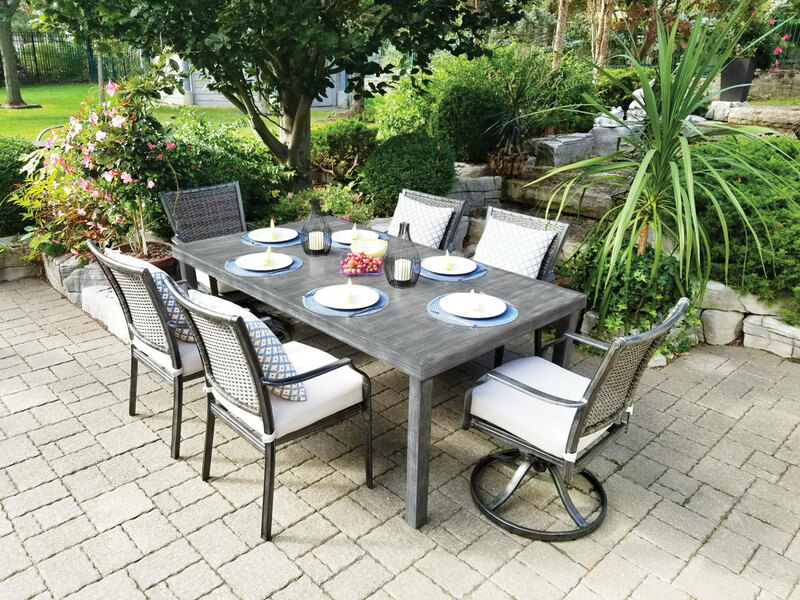 If you want to create an elegant and comfortable dining area in your outdoor space, look no further than the Sunnyvale Collection. Featuring a unique "twisted"wicker with a brushed finish frame, each dining chairs comes with a coordinating seat cushions for a sophisticated designer look. Also available in bar height.